Some projects seem to go so fast, especially the ones where we are not replacing EVERYTHING in the room…which is an option we find a lot of homeowners forget is available. Sometimes homeowners put off updating their old space because they think it might be too expensive, messy or disruptive. Worse yet, when a homeowner becomes disenchanted with the older space, sometimes they begin to put off needed repairs. This is a mistake – small changes now could save quite a bit of time and money later. One of our recent projects was to transform a kitchen. This homeowner knew what he needed and what he wanted to spend. We knew the budget didn't have enough room to purchase new cabinetry. 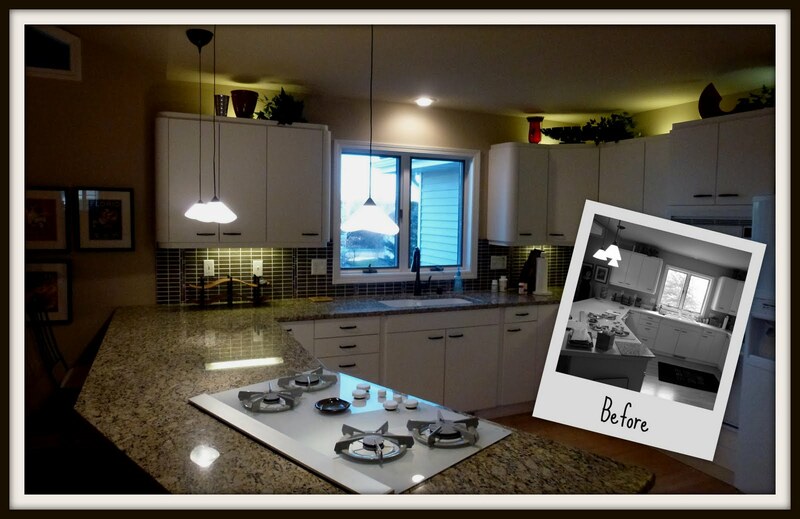 We offered a solution: replace the counter tops and leave the cabinets. They were still in great shape, well taken care of, and although not the newest style, they worked well. In fact, by not replacing the cabinets, there was room in the budget for a snazzy back-splash, which worked to make that not-so-new cabinetry look downright up-to-date! The options are endless, and if you do a little something now, you might avoid having to do a lot of something later. Give us a call today, and let us show you what we can do with the budget you have. Even if it’s only repairs to your current space, why not enjoy living in your home now, without the worry and frustration of “the big project” looming in the future.